A week of fighting between authorities and drug-trafficking groups in Rio de Janeiro has left dozens of people dead and two favelas, or shantytowns, occupied by heavily armed military police. Those favelas had for years been bases for the Red Command, one of the more powerful of the gangs. The violence broke out a week ago when the drug gangs responded to an increased police presence in the favelas by attacking police patrols and burning buses. Nearly a hundred vehicles have been reported burned, and the death toll as of Sunday morning was at least 35. After more than 2,600 heavily armed military police backed by armored personnel carriers and at least five helicopters, swept into the Alemao favela complex, the death toll as of Sunday night was at least 50. 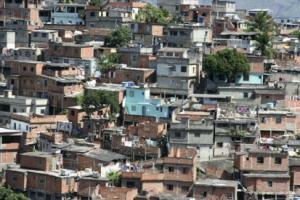 Red Command gunmen had retreated there after troops drove them from another favela, Villa Cruzeiro, earlier in the week. While authorities reported at least 174 arrests, hundreds of other Red Command gunmen are believed to escaped through the labyrinthine passageways of the favelas. Authorities also reported seizing hundreds of weapons and several tons of marijuana. The clashes come as Rio begins a campaign to integrate the favelas into the fabric of city life in preparation for the World Cup soccer tournament in 2014 and the summer Olympics in 2016. The favelas and their residents have historically been ignored by the Brazilian state, leaving a power vacuum that the drug gangs have filled in a number of them. But now the state is interested in establishing governance in them, and the commands are not going without a fight. The military said it will occupy Alemao and Villa Cruzeiro as long as necessary. That has not been the pattern in the past, where occasional police sweeps and occupations have changed things temporarily, but have not had the staying power to change things permanently. Previous: Willie Nelson Wants Marijuana Legalization "Teapot Party"
The police will stay until the games are over. Then they will leave.